Singing Handel’s Messiah Parts II and III tonight. Last edited by MartynJC (UK); 14th April 2019 at 08:48. That's the perfect watch for the occasion! Not too many watches look as good and dressy on rubber. Oh Lordy me, wearing a rubber strapped sports watch with / to a black tie event is a real no, no. A dress watch would be more appropriate, correct in fact. Then again as standards keep slipping and traditions are ignored in this modern age, it’s still far better than wearing a gaudy Rolex dive watch or an enormous Omega Planet Ocean, or G-Shock with such smart attire. 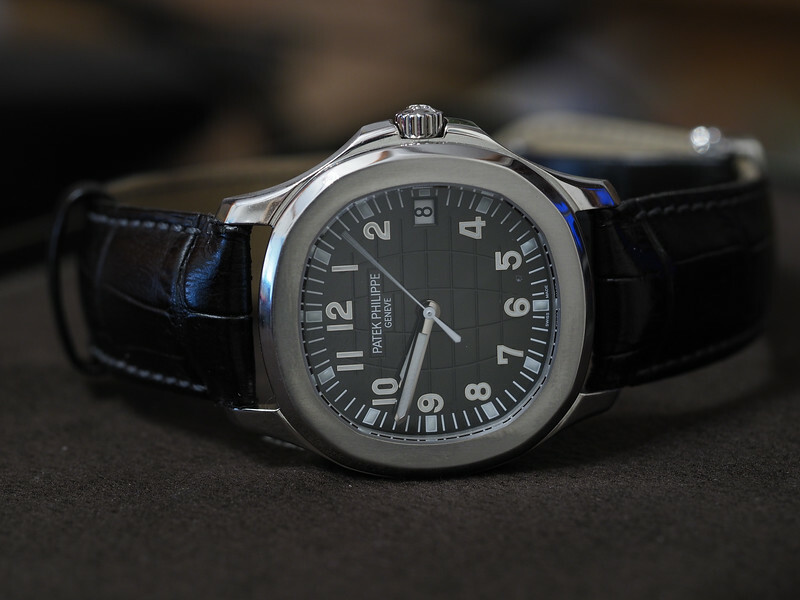 It is however a lovely watch, and elegant for a sporty model, then again it is a Patek Philippe. Last edited by nunya; 14th April 2019 at 08:42. Then again as standards keep slipping and traditions are ignored in this modern age, it’s still far better than wearing a gaudy Rolex dive watch or G-Shock with such smart attire. It is however a lovely watch, and elegant for a sporty model, then again it is a Patel Philippe. LOL. Stoopid spel chek, when will Apple mobile products include a F-ing amendable / learning dictionary, T9 had this tech over a decade ago. The best watch period. It’s the ultimate do it all. I have to agree with the Honourable Mr Nunny regarding Apple’s autocorrect. On rubber straps on dress watches, my favourite black tie watch is a lovely vintage gold Longines which actually looks perfectly elegant on a plain black rubber strap. 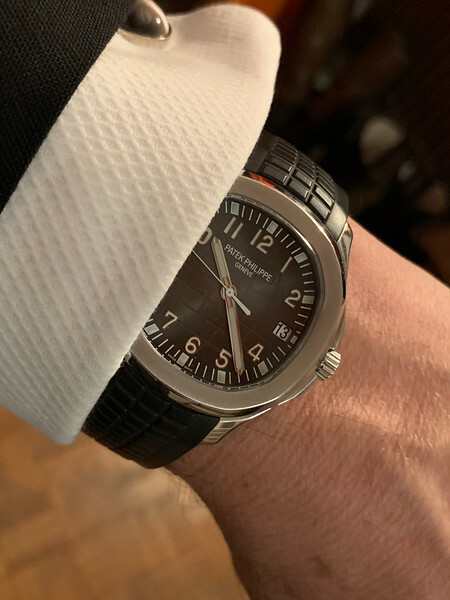 If you notice the combination of cuff link and the way the light catches the face of the Aquanaut - I think they match perfectly. Also this is the slimmest watch I own. In any case, I hardly think the audience will be able to spot what type let alone style of watch is being worn. I could switch it to leather I suppose - but it is so much more comfortable on the rubber. Last edited by MartynJC (UK); 14th April 2019 at 09:05. 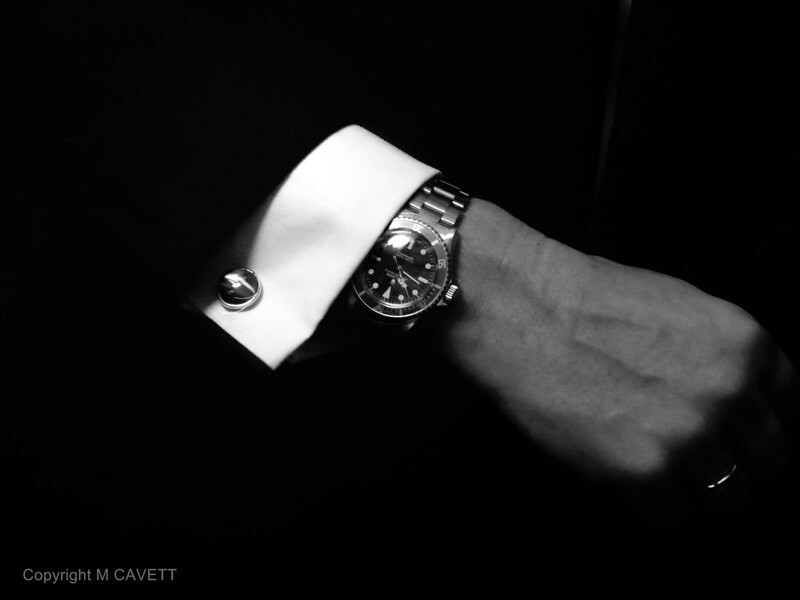 If strictly observing standards and traditions, wearing any watch to a black tie event is a no-no. It suggests to your host that, despite their hospitality, you are concerned about the time. Perhaps you have somewhere else to be? This is rarely observed these days. I’m just mentioning it as an interesting snippet of watch-related trivia, and possibly to give people an excuse (if they need one) to buy themselves a nice pocket watch. Not that that would work for me. If I told the missus that I bought a pocket watch “for black tie events”, she’d laugh her head off. Was going to point out the same. Debretts says no watch with black tie. The leather works (comfort aside) it’s the slimness that does it for me. As most chunky sports watches, especially divers look “off” on leather. 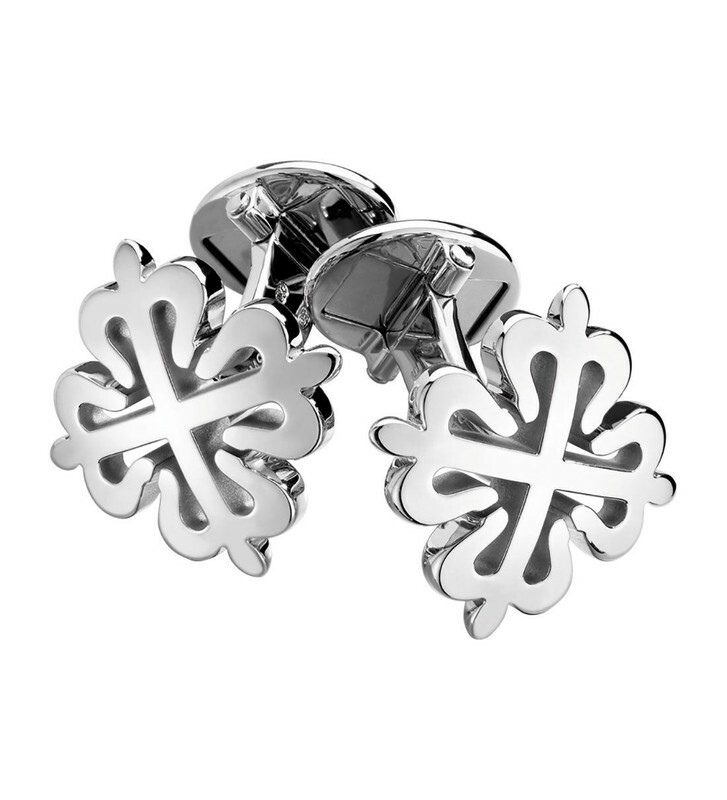 I do like the cuff links elegantly simple from what I can see. Do you not have a pair of these Martyn................shameful. Patels world over will rejoice!! As a matter of interest, which watch did you wear when you sang the first part? Intrigued at the suggestion that the audience will ‘know’ it’s a Patek. The majority won’t know or care, any more than they’d care what make shoes people are wearing. What’s interesting to us hobbyists is boring to most other people. To me, if people notice your watch, you’ve got the wrong watch. Lovely watch but I'd go a small dress style in a leather. For me that'd be a GS quartz. Perfect for the occasion.. or almost any other occasion for that matter. Nothing of interest in my comment, it was a gag, you know humour, hence the laughing emoji. Looks great to me but I’m also that guy that would wear a sports Rolex with a suit! Some work some don’t. I used to own this 5513. But can’t keep everything. Last edited by MartynJC (UK); 15th April 2019 at 16:47. As excellent as it looks (kudos to the OP) it’s a fairly poorly specified watch for the money in all honesty, I certainly wouldn’t call it a do it all - perhaps 90%. The power reserve alone would wind me up. Pardon the pun.